Circle of Family: Walker Wilson – Tell my story. Our last sibling essay in Emmett Wilson’s family story focuses on the youngest son, Walker Wilson. Walker Wilson, about 6 years old, December 1890. 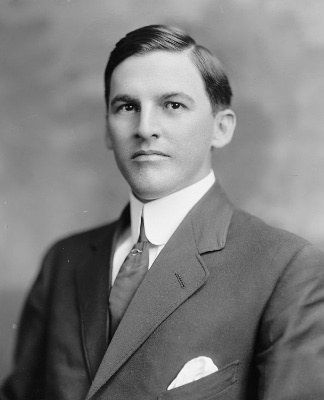 Walker was born in Chipley, Florida in 1884, six months after his family emigrated back to the U.S. from Belize, when Emmett was two years old. I have a few clips from the Chipley newspapers from the late 1890s about Emmett and Walker out on camping/fishing trips to St. Andrews during the summers. Emmett and Walker often spent the first two weeks in August together, accompanied by family and friends, on these outings, every year. Given that there was only two years difference between Emmett and Walker, they were probably close while they were children and teenagers, but after Emmett started college at West Florida Seminary, they spent little time together. In 1899, when Emmett was in-between semesters at WFS, he was working as a telegrapher and railroad station manager and Walker was still in grade school while doing occasional odd jobs around Chipley (clerical work, and railroad depot jobs). By 1902, Walker was a telegraph operator at the railroad station in Chipley, following in the footsteps of several older brothers, and working his way up to the position, just as Emmett and Julian. This was unusual, I thought: Walker, 19, is still in grade school as of January 1903. Source: The Chipley Banner, February 1903. I’ve been in touch with Walker’s grandson, Jim, who was kind enough to share an extensive family genealogy document with me — it’s wonderful — and it was written by Walker’s son, John Evans Wilson, in 1990. I wonder if Walker resented having to pay for Emmett’s higher education. Emmett was the only Wilson sibling in school while Walker was still living at home and under his father’s authority; Walker never went further than eighth grade. Source: John Evans Wilson Genealogy, 1990. I get the impression that Emmett and Walker’s communication/visitation was sporadic for a few years; although in 1904, when Emmett moved to Marianna to live and work with Cephas (as the junior law partner of Wilson & Wilson), Walker also moved in with Cephas. In case you haven’t been keeping score, Cephas’ household in 1904 included himself, Lula, Ceph Jr., and daughter Kathleen, as well as three of his brothers (Emmett, Julian and Walker). It almost feels like Cephas’ home was the launching pad for his siblings before they struck out on their own. Walker was visiting his father in Chipley. Source: The Chipley Banner, 1904. In 1905, Emmett wanted to get away from his family and his try his wings, so he moved to Sterling, Illinois. It only lasted six months. By 1908, Walker would move on to work for the Seaboard Air Line railroad and relocate to Tampa. Walker would spend several years in Tampa, working his way up the ladder. Walker, on a visit to Washington D.C. with his sister Katie Wilson Meade. Photo was taken by their first cousin, Lizzie Meade, in front of the Washington Monument, July 4, 1908. I’ll continue with Walker’s story tomorrow. Pingback: Walker Wilson, Part Two – Tell my story. Pingback: Application for Membership – Tell my story.